The MS Professionals-In-Training Special Interest Group (MS-PiT SIG) will seek to develop an international network of multidisciplinary professionals-in-training to encourage interest in the treatment and research of multiple sclerosis and to increase the number of healthcare professionals providing care to people living with multiple sclerosis. This will be a standing group and therefore has no term. The mandate of this group is ongoing. 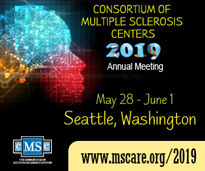 The group will correspond with the Board of Governors of the Consortium of MS Centers (CMSC), or as otherwise designated, through the Chair. Facilitate the sharing of information regarding training opportunities through a common point site offering accessible, sufficient and clear details for prospective trainees. Develop a directory of MS/Neuroimmunology training programs, specific research interests and potential mentors. Disseminate information on educational, scholarship and funding opportunities. Collaborate with the leadership of the CMSC and the Foundation of the CMSC to encourage an expanded, committed MS workforce of the future and excellence in the care of MS. Participate in planning of the CMSC annual meeting and other educational programs for MS professionals-in-training, interested residents and medical students. Collaborate in the development of white papers or publications outlining needs for active MS mentorship and opportunities for specialized training. Form a workforce to initiate a structured and standardized guide for specialized training in MS/Neuroimmunology. Future direction is to obtain training certification in this field from a recognized body in the US and internationally. Establish training and professional channels with all health care providers involved in MS care as an acknowledgement of the multidisciplinary nature of this disease. The Chair shall be a member of the CMSC. The chair will be a professional-in-training (preferably a fellow) with an interest in the field of MS/Neuroimmunology. The Chair scope of experience should encompass both clinical and research aspects in addition to active participation in medical education. The Chair is appointed by the President of the CMSC in consultation with the CMSC Executive Committee. Professionals-in-training with an interest in MS representing all fields of endeavor. Members could be Neurology residents, clinical and research fellows in the field of Neuroimmunology/MS. Non-fellow members should present evidence of current or future commitment to the field of Neuroimmunology/MS.